The Asiafo Amanfro Community School has recently begun a collaboration with 4-H Ghana, a youth development organization that empowers youth through “learning by doing.” The 4-H program aligns with the Akaa Project’s goals of engaging children and communities in the development of local solutions. AACS Teacher Abraham and 4-H club adviser talks to students about the newly established school garden. Here’s how it works: Asiafo Amanfro Community School students are registered into the program. Our school club adviser, Teacher Abraham, holds regular club meetings and communicates with the head 4-H office, which provides a curriculum and guided projects. 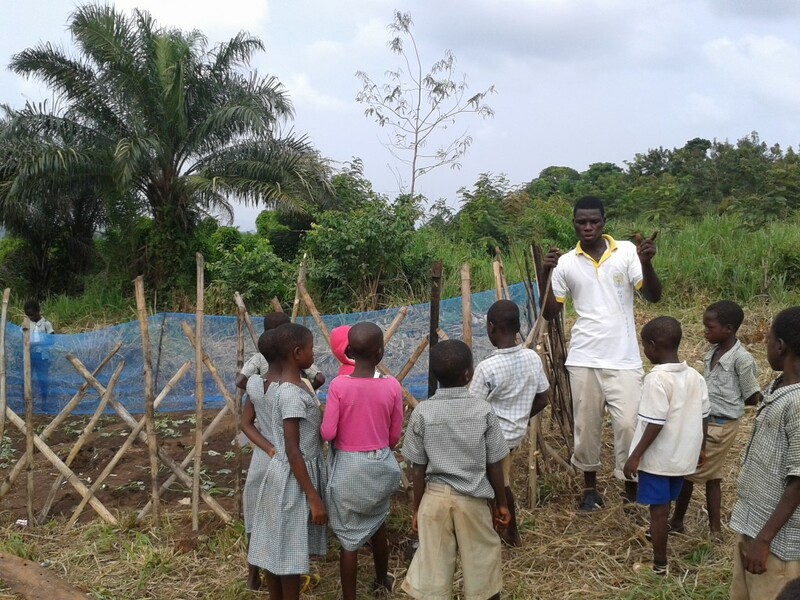 The students will be introduced to new crops, farming techniques and business-agricultural lessons. For example In one lesson, 4-H teaches students how to open bank accounts that will allow them to manage the money made from their gardens. This introduces students to the saving process for school needs, such as pencils and notebooks, as well as higher education fees in the future. Students will also be exposed to other peers and schools through cooperative programs and camps. The Akaa Project believes that education is not confined to the boundaries of a classroom, but it is fostered through relevant developmental experiences. 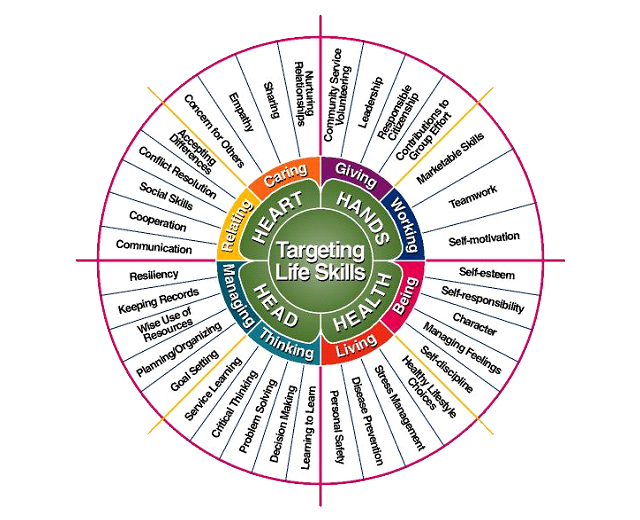 The life skills that are encouraged through clubs, creative arts, soccer and extra-curriculars are invaluable and sometimes cannot be learned in the classroom. The 4-H club will help create an atmosphere that emphasizes leadership, teamwork, communication, confidence, and problem solving. As a rural school with children from farming households the 4-H program has the potential to impact the entire community. Students will bring home new seeds and a new understandings of farming and will then be able to implement these into their family farms. With a motto learn, earn and go green, 4-H’s program will enhance the Akaa Project’s education, healthcare, and financial initiatives. We are thrilled to be working with such a dynamic, well established team and organization. 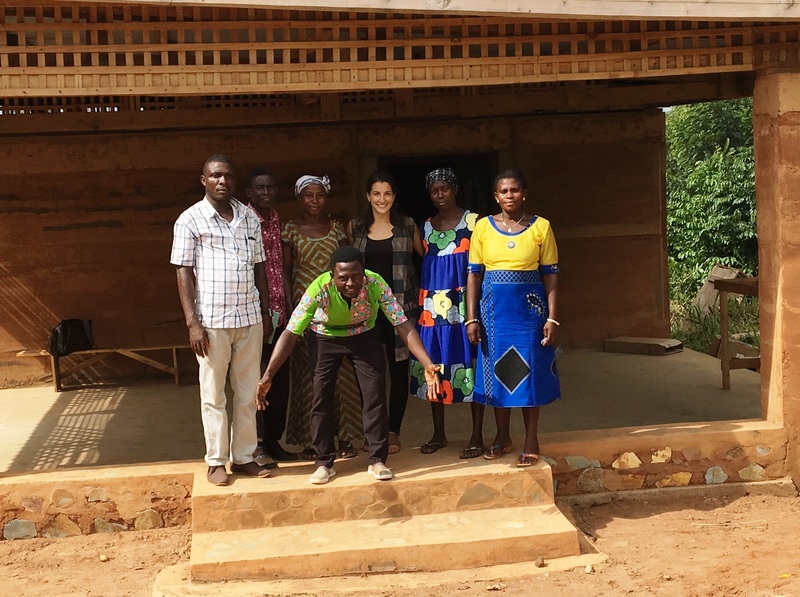 A warm welcome from the Akaa community and Akaa Project team to 4-H! Follow 4-H and the Akaa Project on Facebook for updates and current projects.